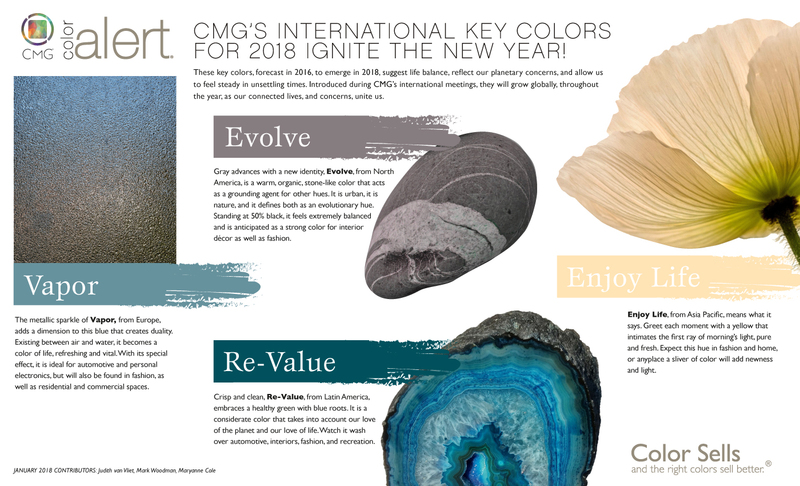 CMG's INTERNATIONAL KEY COLORS FOR 2018 IGNITE THE NEW YEAR! These key colors forecast in 2016 to emerge in 2018, suggest life balance, reflect our planetary concerns, and allow us to feel steady in unsettling times. Introduced during CMG’s international meetings, they will grow globally, throughout the year, as our connected lives, and concerns, unite us. 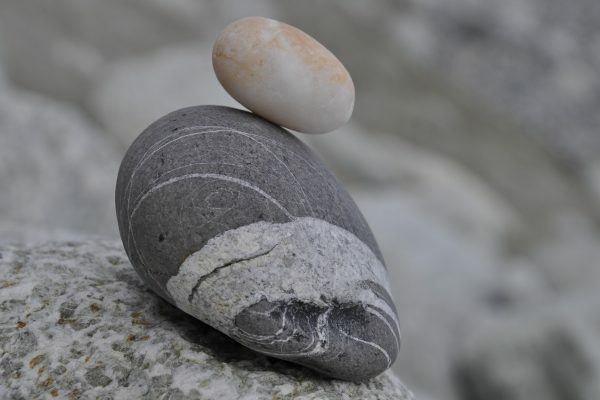 Gray advances with a new identity from North America, Evolve is a warm, organic, stone-like color that acts as a grounding agent for other hues. It is urban, it is nature, and it defines both as an evolutionary hue. Standing at 50% black, it feels extremely balanced and is anticipated as a strong color for interior décor as well as fashion. 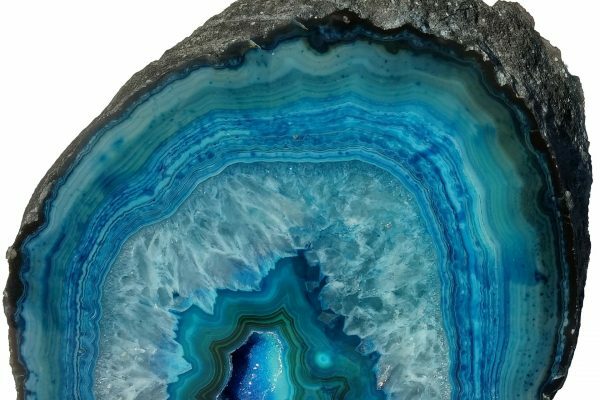 The metallic sparkle of Vapor from Europe adds a dimension to this blue that creates duality. Existing between air and water, it becomes a color of life, refreshing and vital. With its special effect, it is ideal for automotive and personal electronics but will also be found in fashion, as well as residential and commercial spaces. Crisp and clean Re-Value, from Latin America embraces a healthy green with blue roots. 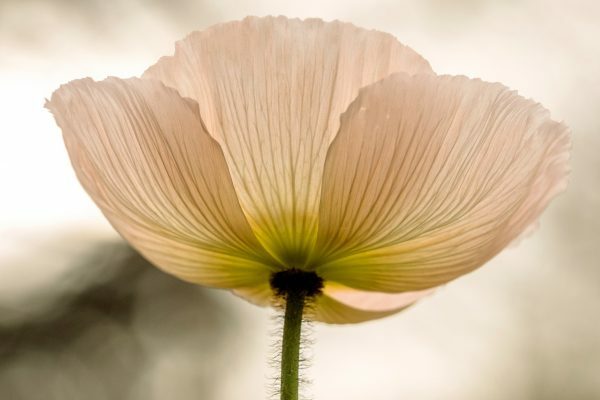 It is a considerate color that takes into account our love of the planet and our love of life. 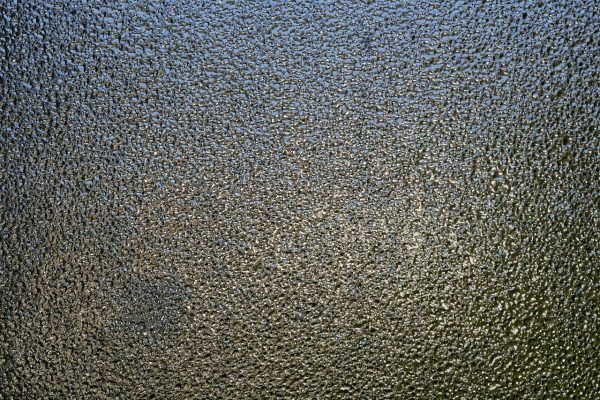 Watch it wash over automotive, interiors, fashion, and recreation.